Minimalism is chic and trendy, but sometimes, there’s nothing more satisfying than blotting out bland and boring surfaces with bold splashes of color and pattern. That’s especially true when the structure in question is an eyesore, abandoned or weighed down by the baggage of a difficult past. 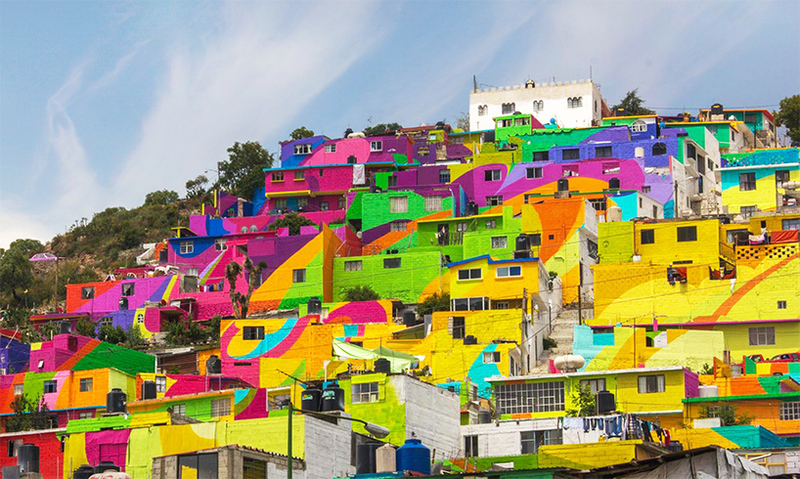 Giving architecture a maximalist makeover with colorful paint can utterly transform not just the buildings themselves but their entire communities, creating a ripple effect of cheerfulness. 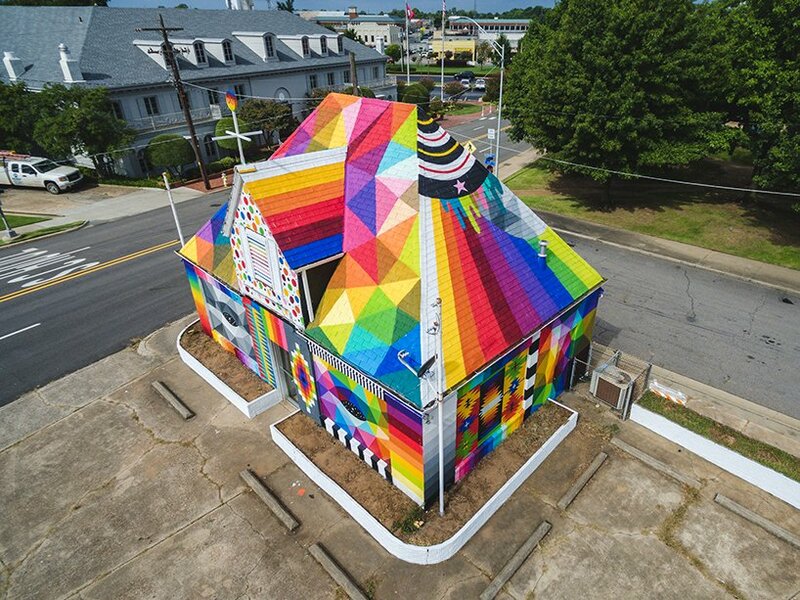 These vivid modifications are carried out for all sorts of reasons: easing the impact of blight, celebrating a change in the city’s fortune, preserving cultural traditions or simply for the love of art. 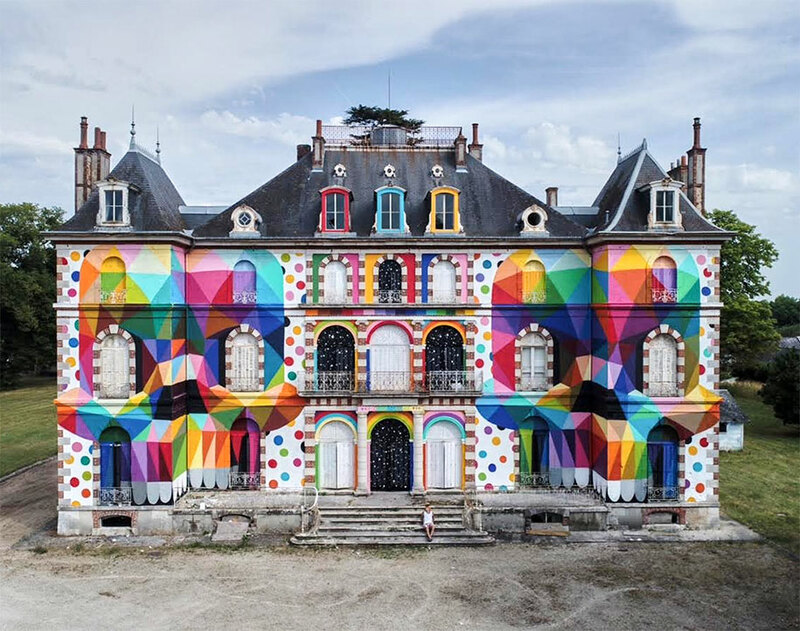 Madrid-based artist Okuda San Miguel has quickly developed one of the most instantly recognizable styles in street art history with his massive paint projects and sculptures. 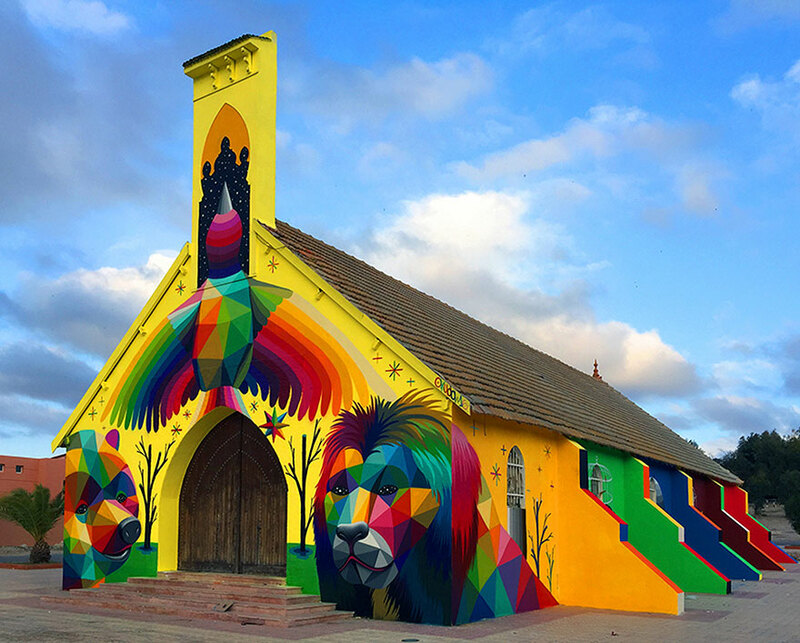 His murals scale skyscrapers, his interiors have transformed church interiors into incredible skate parks and his faceted three-dimensional creations have played starring roles in major festivals, but of all his dazzling projects, his transformations of abandoned buildings make the biggest visual impact. 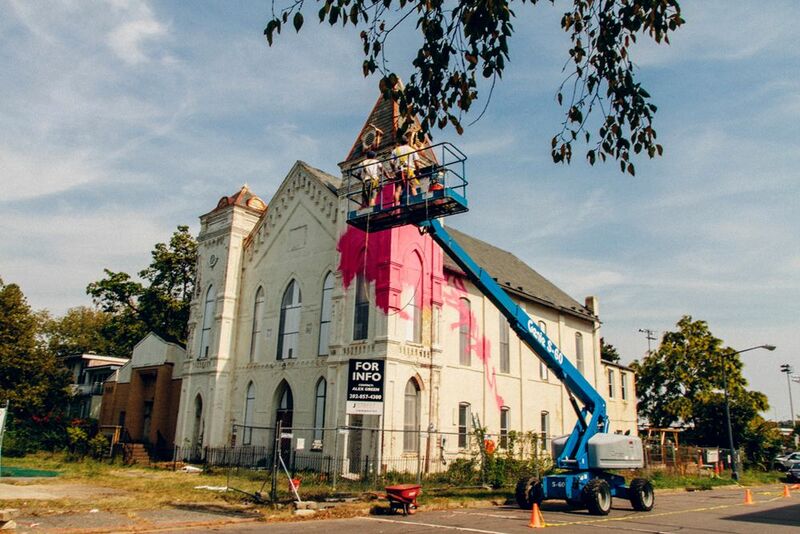 They include turning a sad, deteriorating house in Arkansas into a “universal chapel,” giving an old abandoned church in Morocco a vivid yellow makeover covered in his signature animal faces and painting two enormous skulls onto an abandoned castle in Loire Valley, France for the LaBel Valette Festival. 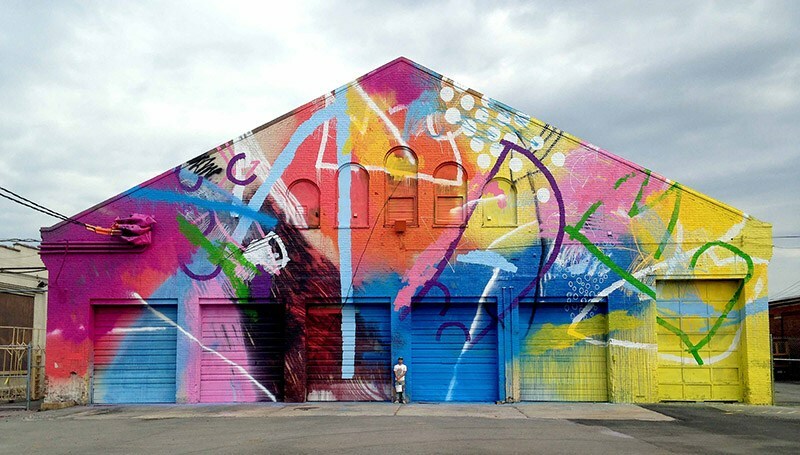 Atlanta-based artist and muralist Alex Brewer, better known as HENSE, is often commissioned to apply his pleasingly chaotic and colorful style on abandoned and neglected structures all over the world. 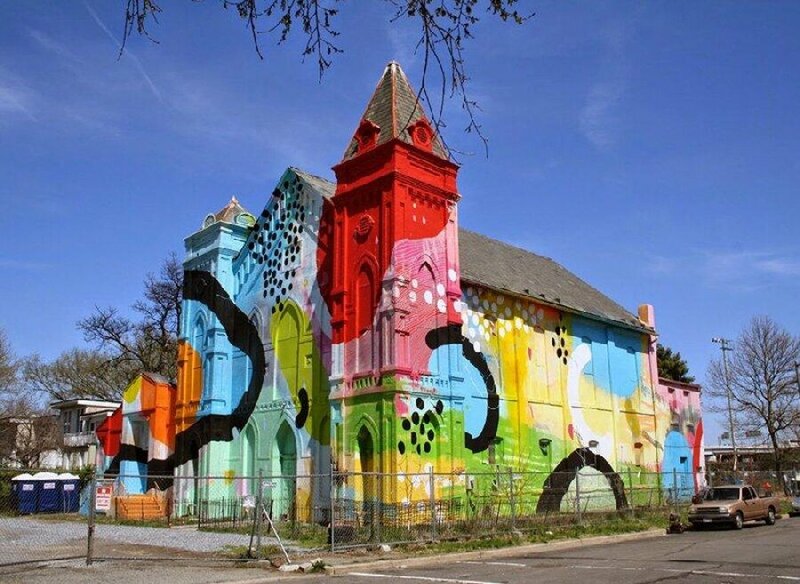 One of his best-known projects adds a watercolor effect to an old church in a downtrodden neighborhood in Washington DC with the aim of calling attention to the area’s potential as the city’s next bustling arts district. 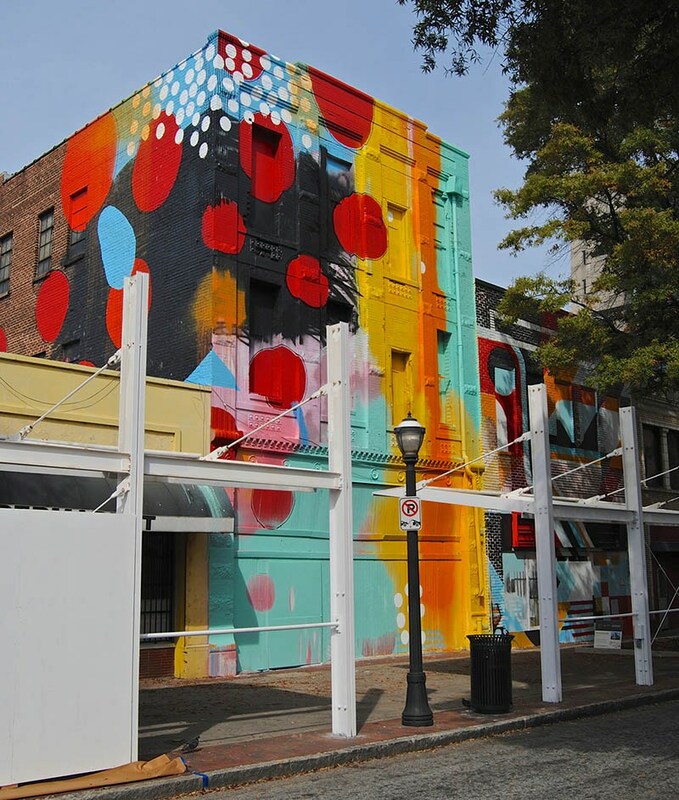 Another massive mural coats the exterior of a warehouse in Richmond, Virginia for the RVA Festival, and a third splashes across a historic building with a boarded-up facade in Atlanta. 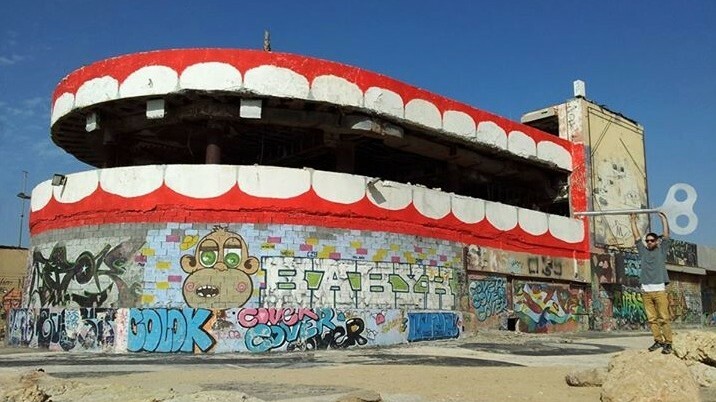 Tel Aviv’s derelict and abandoned Dolphinarium building, which was the scene of a 2001 suicide building, got a wild new look in 2015 courtesy of street artist Dede. The shape of the building was just too perfect to pass on turning it into a gigantic set of wind-up choppers. Poor communities simply don’t have the resources to maintain an outward appearance that the rest of the world finds “acceptable.” When you’re struggling to get by, fresh paint jobs, nice landscaping and even simple building maintenance is often a lower priority by default. 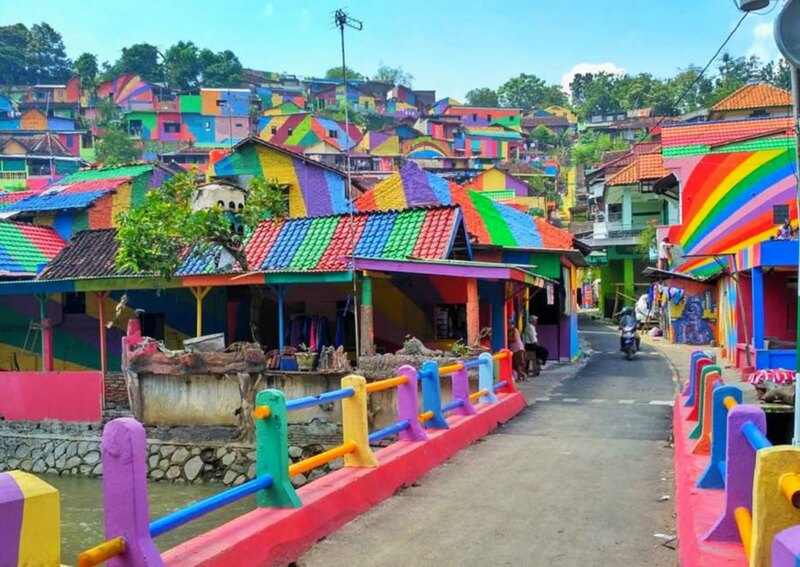 But, with the permission and participation of the people living in those communities, projects that aim to revitalize them with a bit of color and care can make a big difference in general morale. The purpose isn’t necessarily to make these neighborhoods more palatable to wealthier people, but to show that they, too, are worthy of beauty and art. While projects like this can run the risk of glossing over deep systemic inequality, they’re beautiful when handled with sensitivity and awareness. 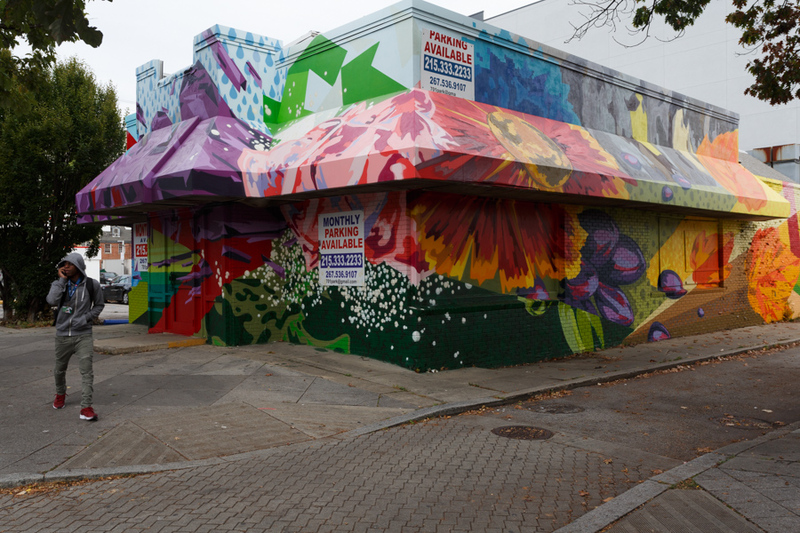 These large-scale mural projects can dramatically alter the mood of a neighborhood while bringing its inhabitants together to take an active role. 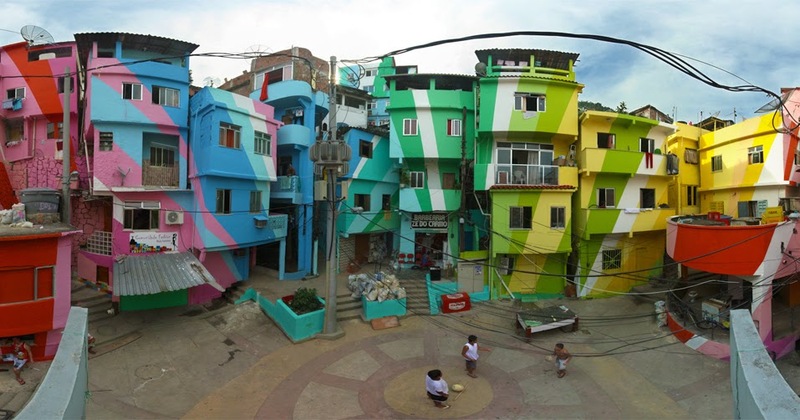 Examples include German Crew’s transformation of Las Palmitas, Mexico, covering 224,280 square feet of architecture with neon colors, and a series of awesome painting projects by Haas & Hahn throughout Brazil’s favelas. 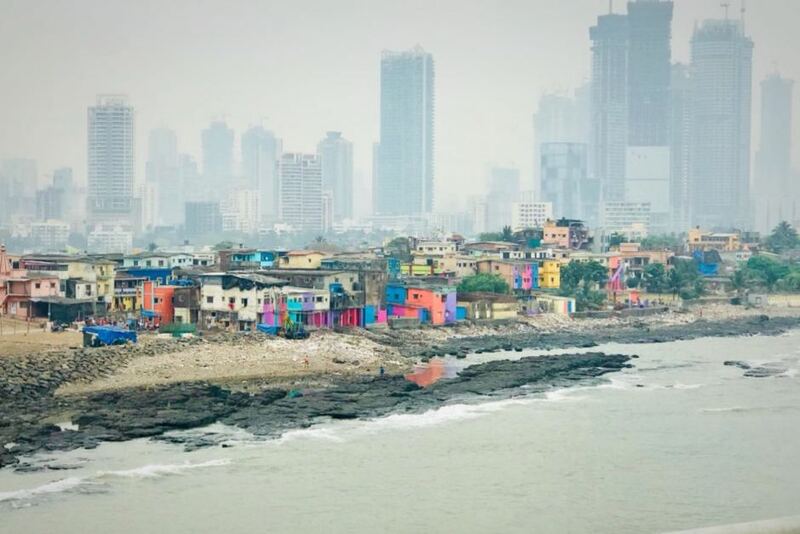 And in Mumbai, waterfront slums that are home to millions of people have grown far more colorful thanks to the efforts of art teacher Rouble Nagi. But sometimes it’s little more than monotonous surroundings and a lack of color that prompt colorful architectural makeovers. 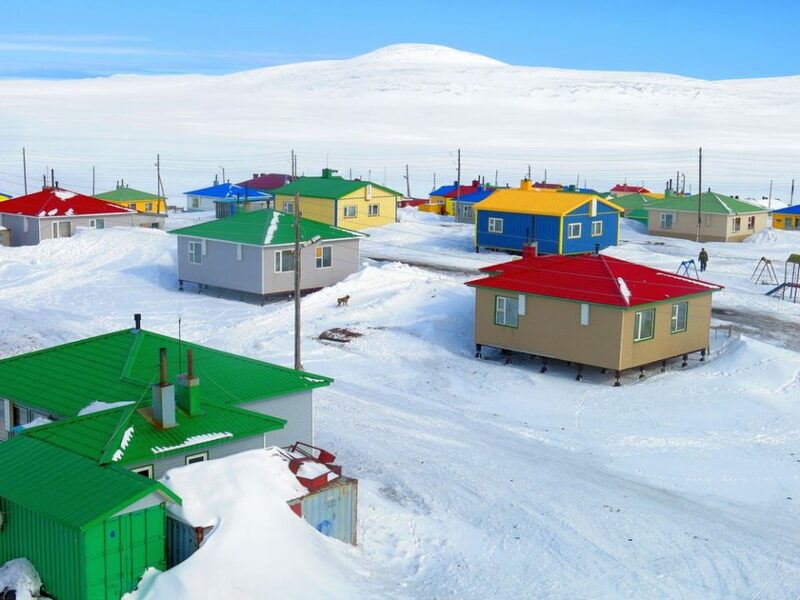 The isolated and incredibly cold Siberian town of Ust-Yansk combats the potentially depression-inducing wash of gray and white winters with bright colors on the buildings’ roofs after a recent restoration project. 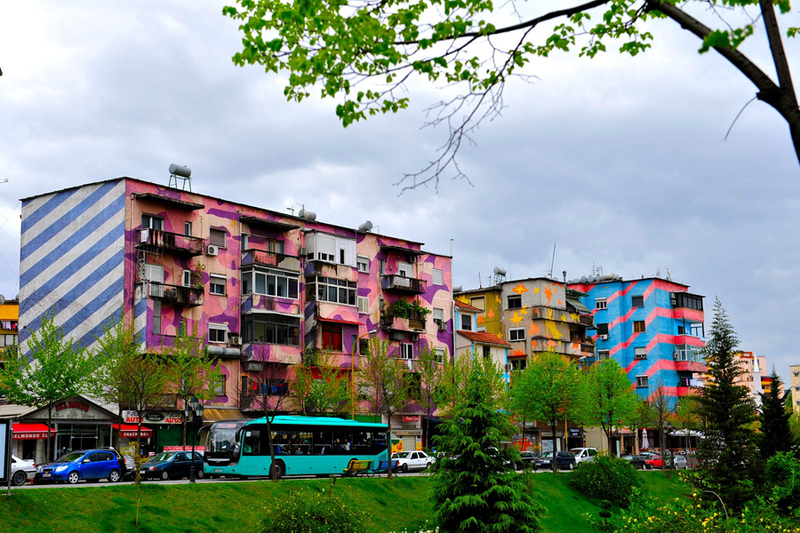 Tirana, the capital city of Albania, wasn’t in a great place before artist-turned-mayor Ed Rama took office. 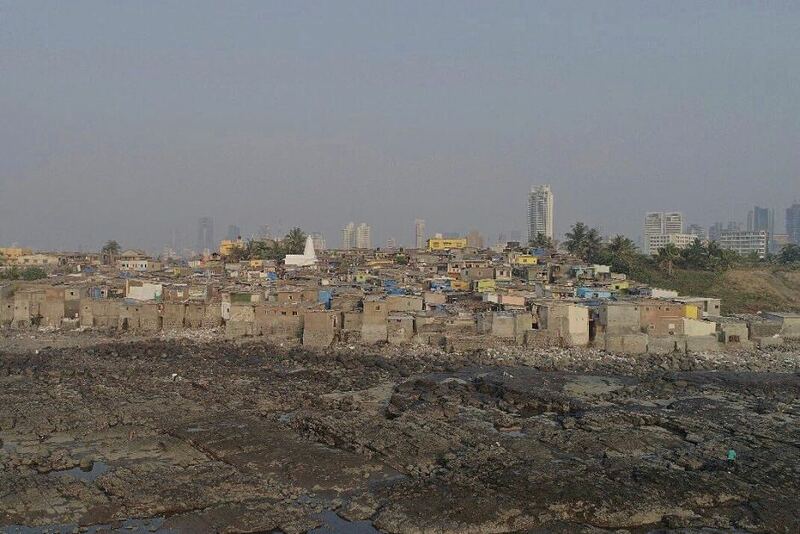 Low on funds, high on crime and suffering from a plague of corruption, the city was also visually bleak. Rama decided to paint one of the saddest-looking buildings a bright orange, and the community loved it. 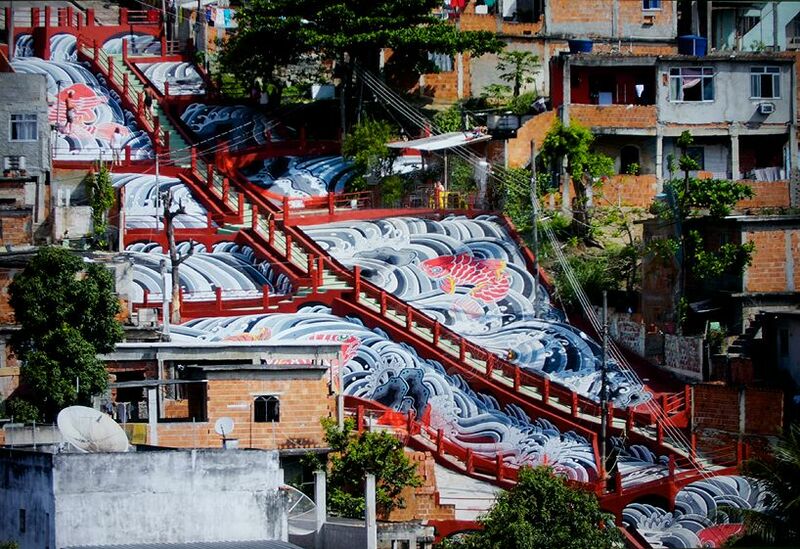 Once he had painted a few more structures in a similar way, a larger movement took off, with international artists turning entire city blocks into works of contemporary art.